Deanna Raybourn has been an author long on my radar. I hear wonderful things about her Lady Jane series from a number of people. 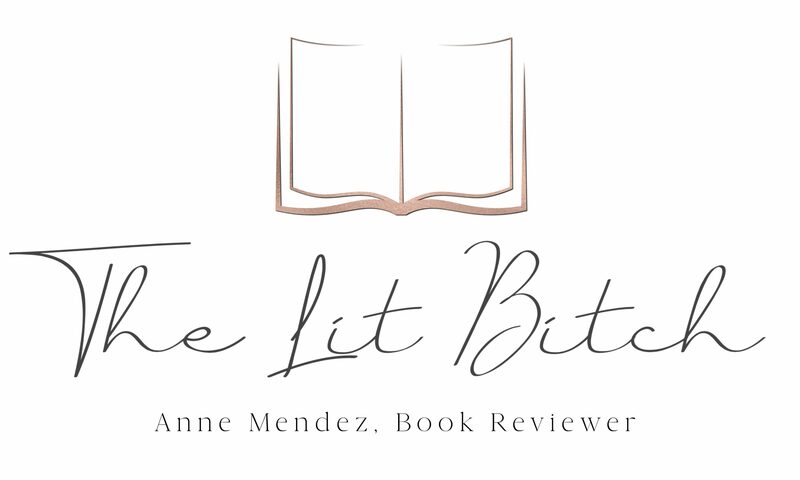 So when the opportunity to review her latest standalone book, I was eager to try her books out! Poppy Hammond, is all set to marry into an aristocratic family but she has other plans which include making a run for it. She is assisted by the dashing curate Sebastian Cantrip who helps her escape to her family’s house where she can have some time to think and sort out her life. Before she can thank Sebastian for his assistance, he disappears and she sets her mind to finding him. She soon realizes Sebastian has lied to her about who he is. She discovers that he has fled to Damascus. What in the world took him there?! She is determined to figure out what exactly is going on here. With her sassy ladies maid as her sidekick they set off on an adventure across the sea to the near east. After chasing whispers they discover a mystery surrounding an ancient treasure that is part of a much larger plot that reaches to the very heart of the British government. I won’t give much more than that away, since it is a mystery. I am exceptionally impressed with Raybourn’s writing style. The dialogue was charming, funny, quirky, and breezy. I truly enjoyed reading the dialogue between the characters and the overall narrative continued that light theme. Poppy was hilarious. I’ve read a couple other reviews and I agree with what many of them have said….she sometimes ‘over talked’ herself but to comedic effect. She was so charming and yet head strong and independent that I just loved her! I am a huge fan of heroine adventuresses! Poppy was FAB! Pair her with the sassy ladies maid Masterman, and you have a very dynamic duo. Together they were so funny and quirky, I LOVED when they interacted. Absolutely wonderful! I think what intrigued me the most in the book was the setting. The beginning of the book was a little slow for me. It sounded like it was going to be another London based mystery. Don’t get me wrong I love those too, but it just seemed like it was going to follow the same formula if that makes sense. When Poppy started her journey to Damascus that’s when things really started gaining momentum. The descriptions of the locations are beautiful and I really loved how the location added a unique mystique to the mystery. The romance between Poppy and Sebastian wasn’t the central focus of the novel which was great. It was woven carefully throughout the mystery. Sebastian is part James Bond and part Indiana Jones. I love love love his character! I was totally in love with him the second I met him! Love at first word! The only thing that bugged me was I guess some of the characters also have ties to the Lady Jane series. I haven’t read any of those books (side note, I plan on rectifying that immediately) so some of those references were out of place and distracting for me especially when I thought this was going to be more of a standalone book. The cover didn’t catch my eye as much as some of her others have. The other covers have vibrant colors and invoke this sense of mystery and sensual-ism. They are just really eye catching and I always see them and think hummmm that looks like a good book that I would want to read. This cover lacked that same interest for me. The blue was muted and it just seemed nondescript and forgettable. Though it took me a while to finish this book (not for want of interested but of time)….I wanted to gobble it up in one sitting but sadly life happened and I was forced to read it too slowly for my liking. This book had it all…..mystery, intrigue, spy elements, adventure, and of course…..romance all packaged in a nice little historic novel! The only reason I am giving this a 4.5 rating instead of a 5 is because the beginning was a little slow to start, other wise once it gets going….it a fantastic adventure read for historic romance lovers! Will I read more by her……ABSOLUTELY! I am ready to run out and buy all of her novels immediately! 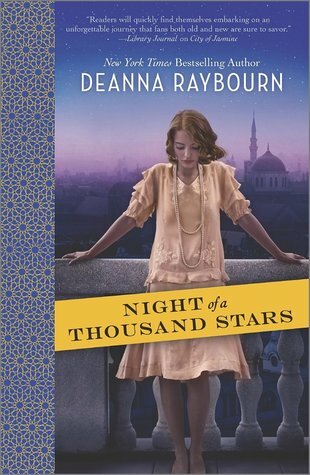 I reviewed this book as part of the Night of a Thousand Stars virtual book tour hosted by Historical Fiction Virtual Book Tours. Be sure to visit the other blog stops on the tour for interviews and giveaways. I LOVE historical fiction and am a huge fan of stand alones. Sometimes I just want my book to be complete ya know without having to wait for the next installment. This is going on the wish right Immedialty! Thanks for the review!